and this is a glorious place for boating. 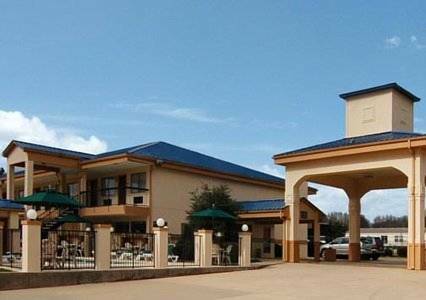 Caddo Lake State Park has good lodging to guarantee that your stay is comfortable. In case you love comfort, there are glorious cabins here; you can take a nice swim at this campground. Paddling a canoe is an outstanding way to experience the surroundings here, and Caddo Lake State Park is a glorious site for horseback riding. On a sunny day at Caddo Lake State Park it's a good idea to have a good picnic at the picnic area. Hope you like fishing, Caddo Lake State Park has some magnificent fishing, and there's a great fishing pier where you could take some big fish. Restrooms are unsurprisingly available, and everyone loves bicycling here. to Caddo Lake State Park is Perkins Family Bowling Center. This campground is so splendid. Not far from Caddo Lake State Park, you'll stumble on Caddo Lake which is a pretty lake. Outdoors recreation in the vicinity of Marshall, Texas, the metro area neareast to Caddo Lake State Park. Find info on campgrounds, marinas, hiking trails, ski resorts, lakes, beaches, parks, whitewater, golf courses and more.